There is no doubt that cats are some of the most amazing creatures on the face of the earth. They are also very resourceful and quite smart! 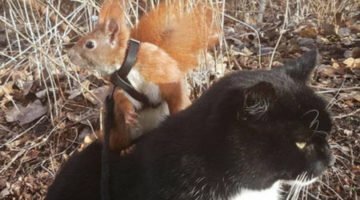 If you have a cat in your family, you are already aware that their intelligence can sometimes get something over on you. Of course, we love our cats and we would never think of staying angry with them for long. Even when they do something that we consider to be wrong, there is sometimes something behind it that makes it just right. 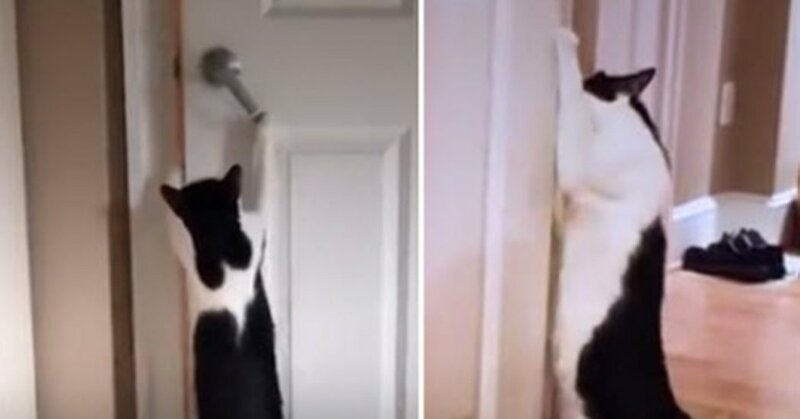 The cat in this video surprised his owners when he was able to get into another room, even though the door was closed. He did so by holding his paw up on the doorknob and before you know it, the door was open and he was able to get into the other room. This may have been frustrating to the homeowner but when she discovered why he was doing it, her heart melted.